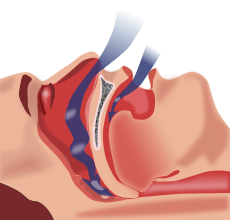 Snoring can be an indication of a condition known as obstructive sleep apnea. Obstructive sleep apnea is a sleeping disorder where the affected individual can have significant narrowing of the airways leading to difficulty breathing. It is typically characterized with frequent pauses in breathing and the duration of each pause ranges from seconds to minutes. The frequency and duration is important in terms of determining the severity of condition as the more frequent and longer the duration of each pause, the more severe it is. It is important to note that the intensity of snoring has no direct correlation to the severity of sleep apnea. Snoring is a sound created by air being forced through the airways. It is more important to note when snoring stops and resumes with a big gasp of breathing and snoring again. Gasp for air as such is an indication of pauses in breathing means that no air is inhaled and oxygen in the blood circulation will be exhausted and if it extends to a point where no oxygen is left in the circulation, there will be a of lack oxygen supply to the brain. This presents as a risk to premature death and therefore relevant and immediate medical attention is recommended. 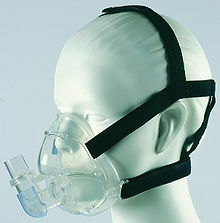 is related to the breathing disturbances that cause lack of quality sleep where the brain and body is not well rested. While not all snoring are related to obstructive sleep apnea, it is important to obtain a proper diagnosis from a qualified medical practitioner as obstructive sleep apnea requires immediate attention because it can cause total obstruction of the airways, leading to fatality. Such diagnosis can be obtained through a sleep study arranged by your doctor and if diagnosed with obstructive sleep apnea, depending on the severity, different interventions are available to manage the problem. How to treat snoring related to obstructive sleep apnea? Treatment options vary from change in lifestyle practice, simple dental devices to CPAP machines and surgery to relieve the airway obstruction. Weight loss is usually one of the first interventions considered because the main contributing factor remains on obesity where accumulation of fat around the head and neck region can cause airway obstruction in supine position when asleep. This is because when we lie down, our tongues tend to fall to the back of our throat. Patients with very small lower jaws can also experience such problems due to lack of space for tongue to occupy. Dental devices such as an mandibular advancement splint can be fabricated to relieve obstructive sleep apnea. Mandibular advancement splint is a thermoplastic appliance very much similar to mouth guards or night guards, with the exception that it positions your lower jaw forward, which increase the space available in the mouth and retrain the positioning of the tongue. This allows the airway obstruction at the back of the throat to be relieved. Such appliance can be obtained from your dentist where a proper consultation is carried out, followed by standard impressions of the upper and lower arch. Patients with difficulty tolerating impressions in the mouth can be an indication of poor tolerance to mandibular advancement splints. This needs to be considered prior to fabrication of the appliance as its success very much relies on patient compliance to wear it every night. This appliance is a simple and cheaper alternative to CPAP machines and surgeries. However, such devices do have its limitations and do not always work. While most patients find it easier to tolerate mandibular advancement splints as compared to CPAP machines, the results are not as predictable as CPAP machines. Patients need to keep in mind that these splints may not work and further treatment may be required.